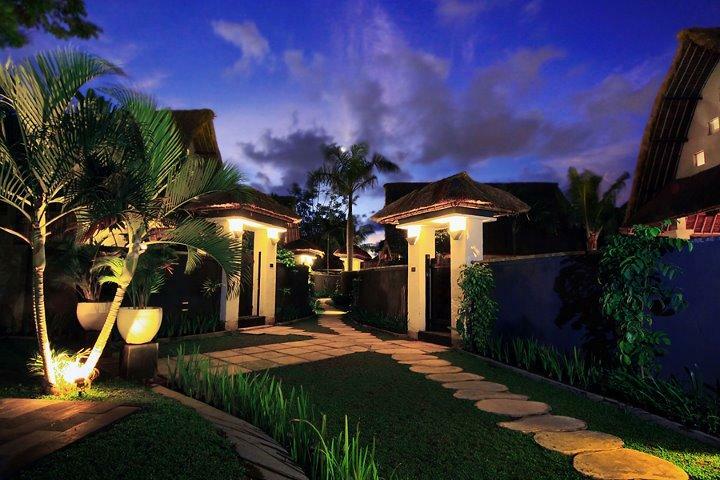 Just a short stroll from the heart of Bali's chic Seminyak district, Villa Seminyak Estate & Spa is surrounded by lush and fragrant tropical gardens and flowers. 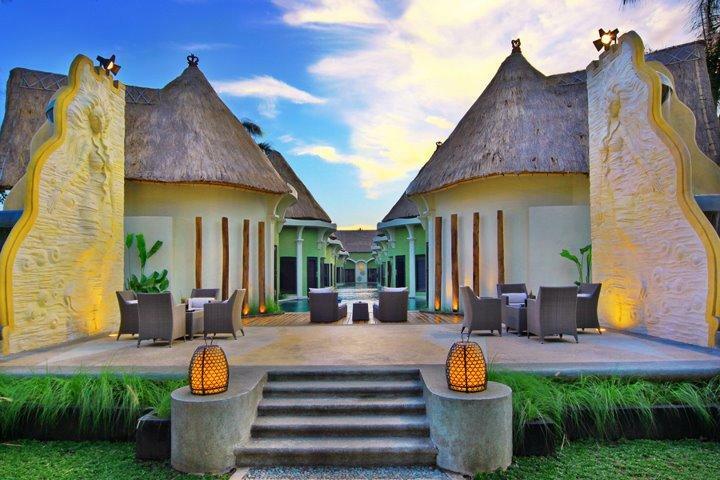 The true essence of Balinese culture immediately greets you as you arrive at the resort, with the outdoor and indoor seamlessly blending as one. 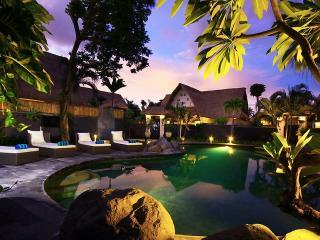 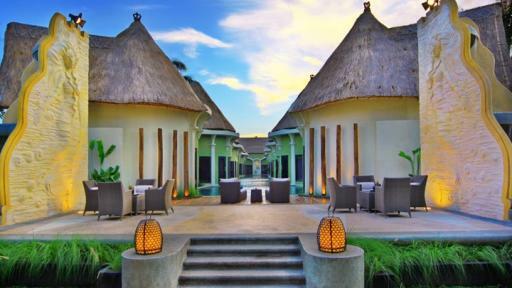 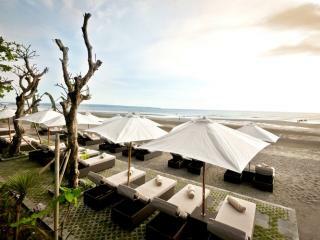 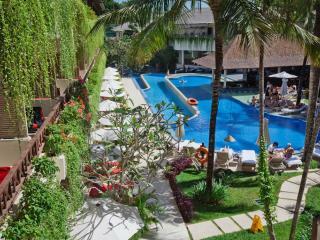 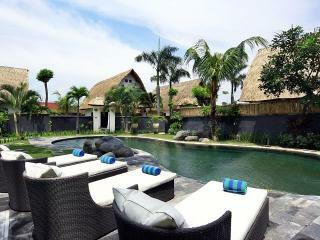 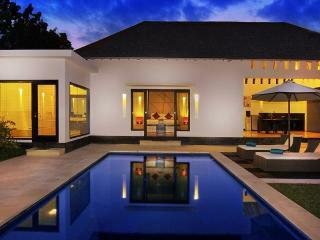 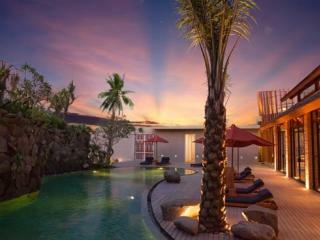 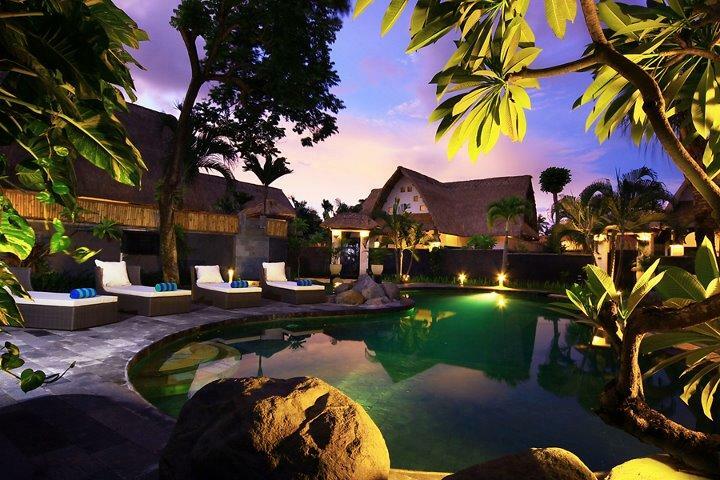 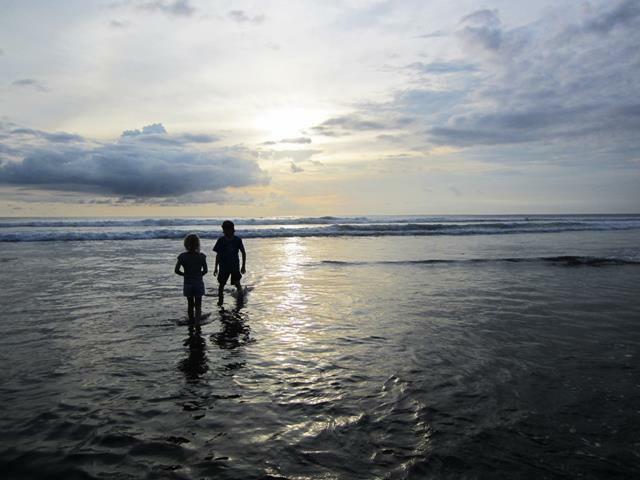 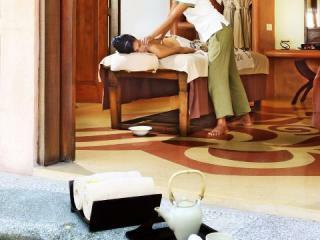 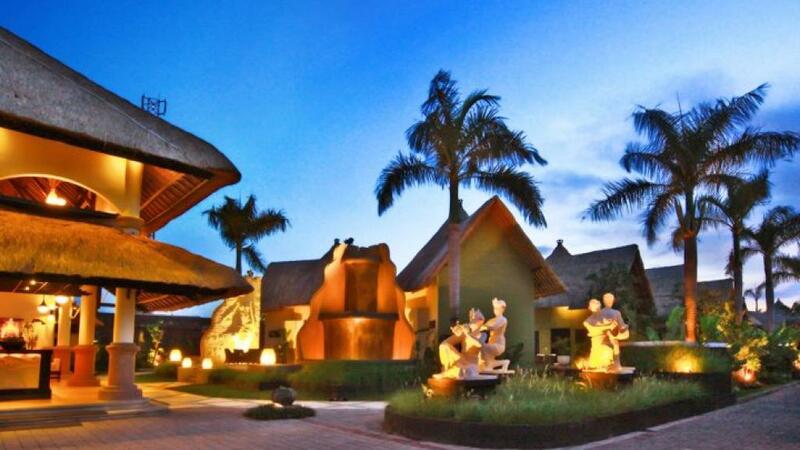 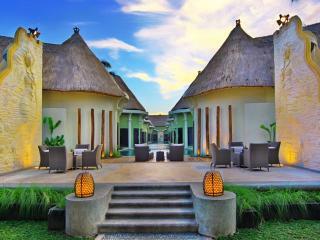 This Bali accommodation is the perfect choice to add a little luxury to your next Bali holiday. 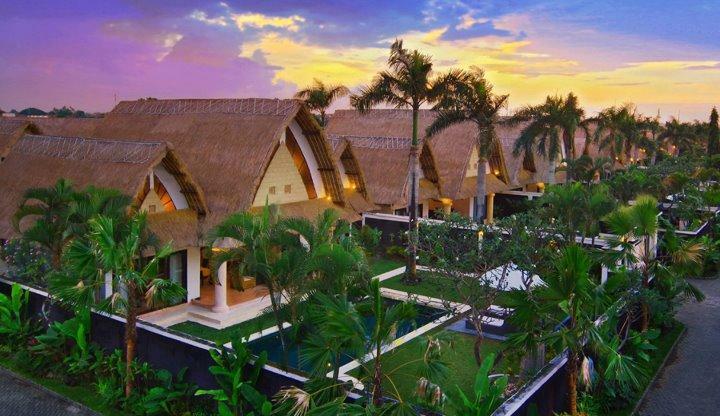 Combining traditional and private villa accommodation, Villa Seminyak Estate & Spa offers a choice of 1, 2 and 3 bedroom villas with each subtly decorated with a range of stylish yet natural and traditional Balinese touches. 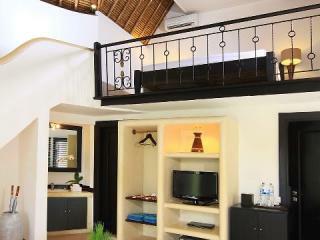 In-room features also include a spacious living room, satellite TV & DVD player and complimentary WiFi. 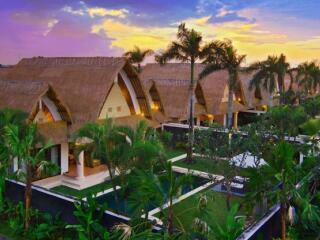 Featuring 2 swimming pools, an onsite restaurant, Day Spa and room service, Villa Seminyak Estate & Spa has all the on-site facilities you require, and being located so close to shopping, cafes, restaurants and night life means you are assured the complete Bali holiday experience. 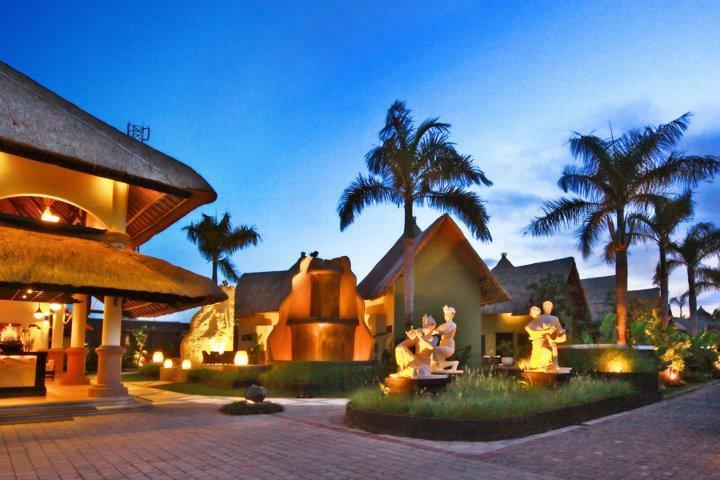 Each villa at the Villa Seminyak Estate and Spa is tastefully decorated to evoke a sense of peace ensuring that you feel totally relaxed on your Bali holiday. 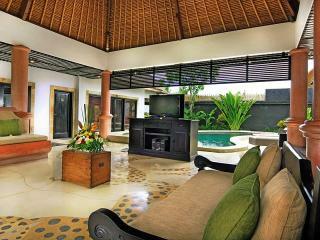 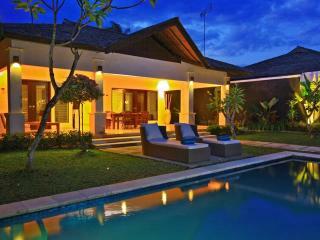 Lagoon Villa: Split level accommodation with direct access to the lagoon swimming pool. 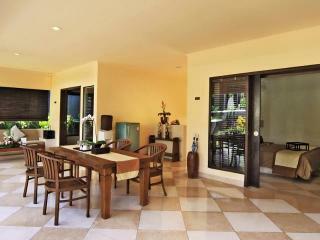 Size is 35m². 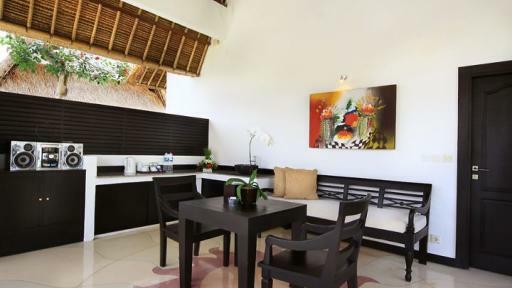 1 Bedroom Garden Villa: Featuring a swimming pool in the Garden Villa complex, these villas are set within a landscaped compound, ideal for couples. 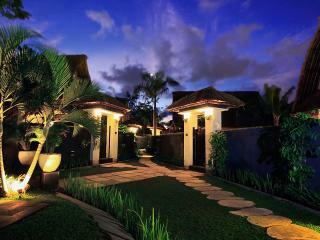 Size is 150m². 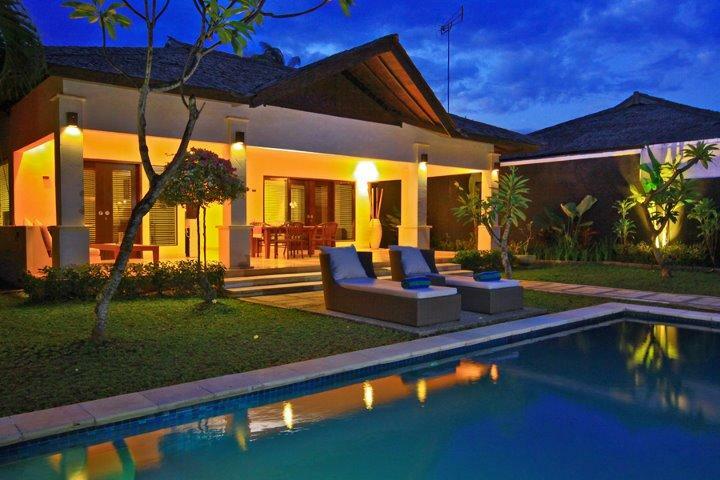 2 Bedroom Garden Villa: Featuring a swimming pool in the Garden Villa complex, these spacious villas have a separate living and dining area. 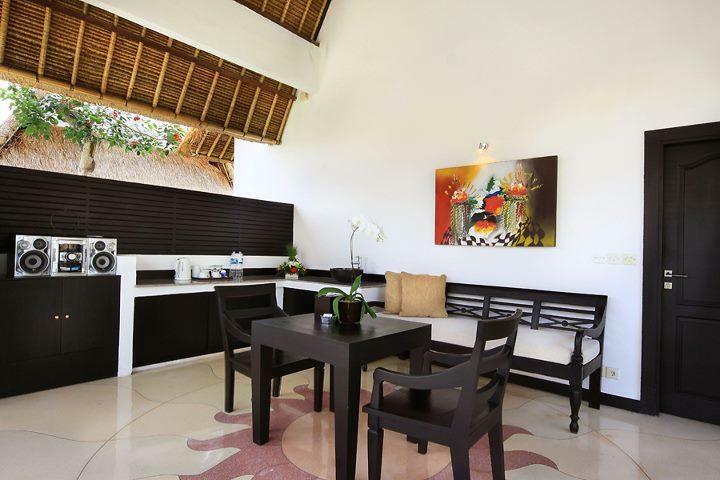 Deluxe Pool Villa: Featuring 2 bedrooms and a private 4x6 metre pool, this villa also has a fully-equipped kitchen. 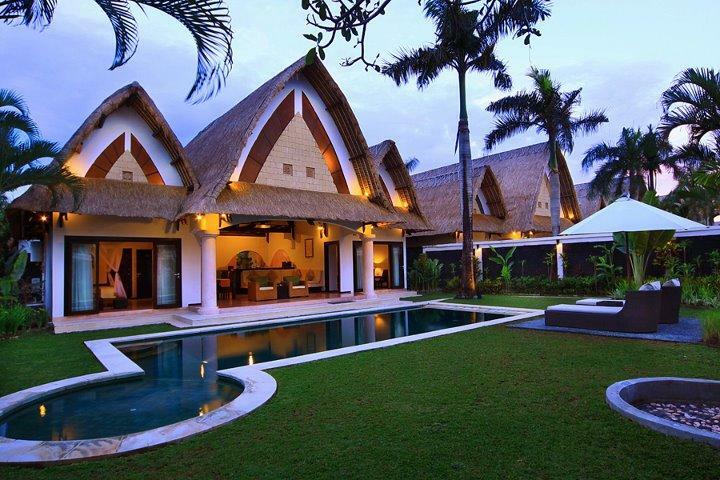 Size is 300m². 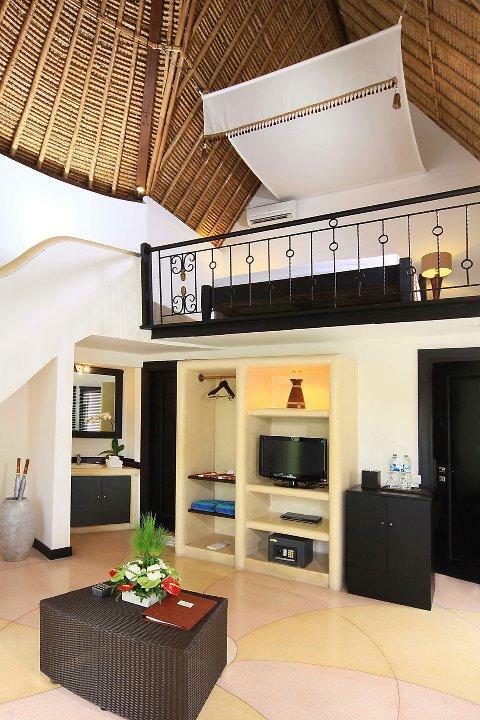 Grand Deluxe Pool Villa: Features one bedroom, a private swimming pool, oversize bathroom and fully equipped ktichen, this villa is fantastic for honeymooners. 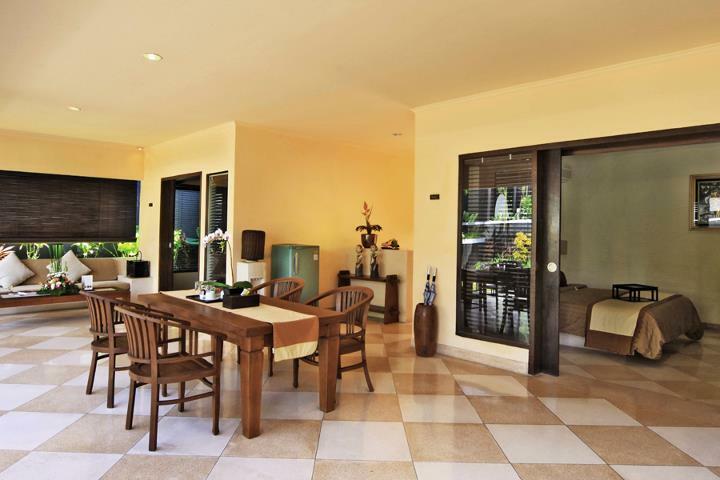 Size is 200m². 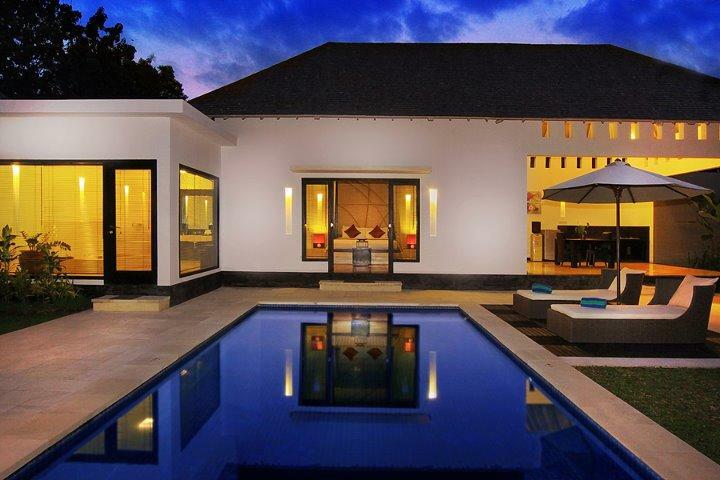 Royal Villa: Featuring two bedrooms, a traditional thatched roof, fully equipped kitchen, 4x8 metre swimming pool and mezzanine loft. 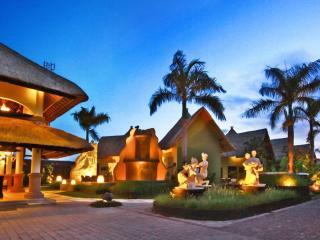 Size is 450m². 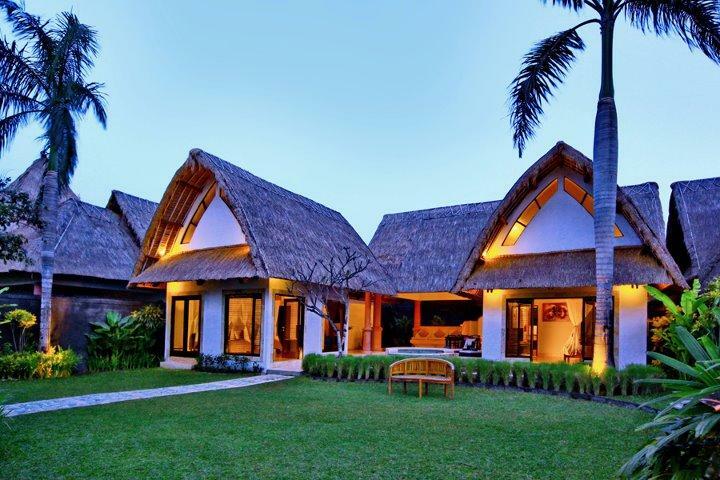 Executive Pool Villa: Located within an extensive green garden this villa features a natural thatched roof, 2 bedrooms, a large private pool and outdoor jacuzzi. 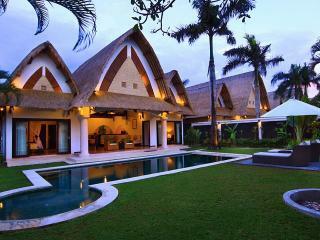 Size is 500m². 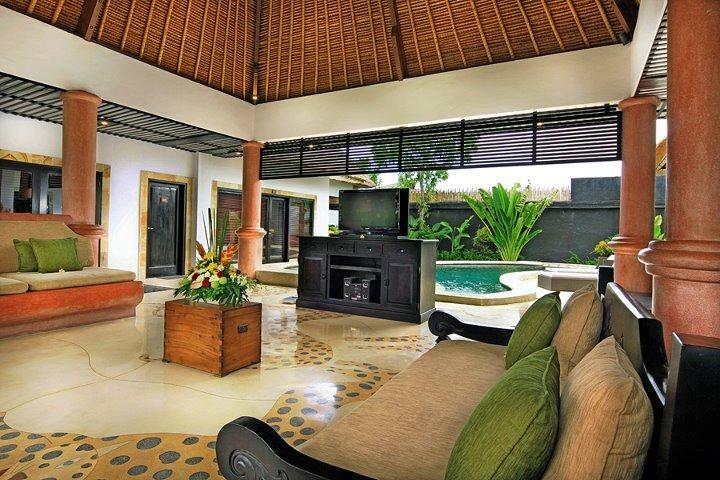 Presidential Suite Villa: Features 3 spacious bedrooms set within a lush tropical garden. 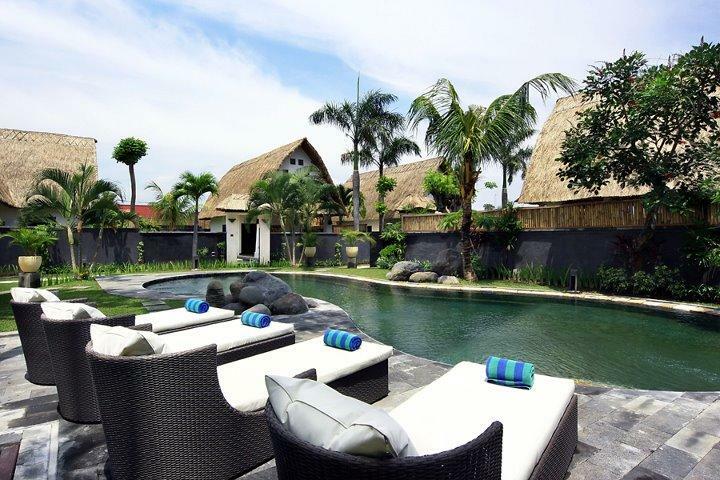 Relax by the amazing free form 4x7 metre swimming pool and outdoor jacuzzi and chill out in the living room. 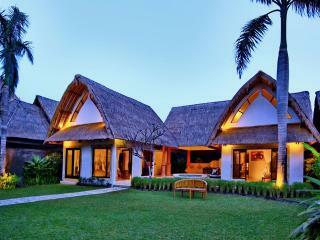 Size is 550m². 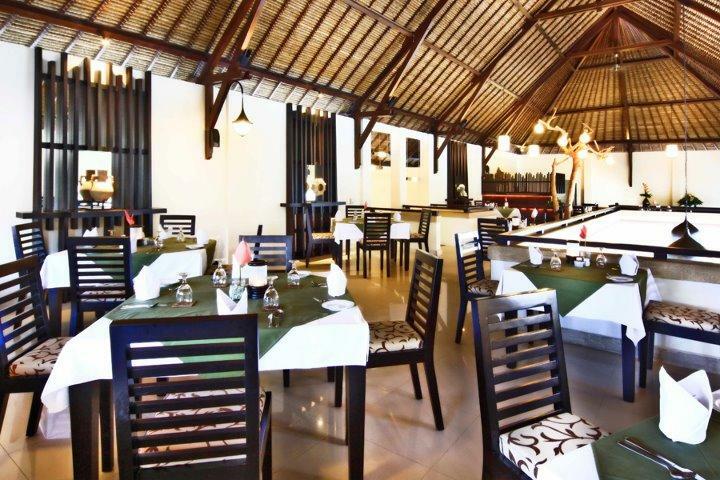 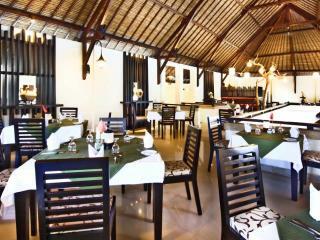 Kedis Restaurant: Located in the upper lobby level offering a scenic views of the lagoon pool and features Western, Asian and local Balinese cuisines. 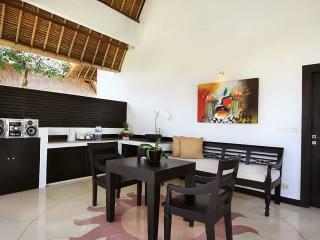 In-villa dining is also available. 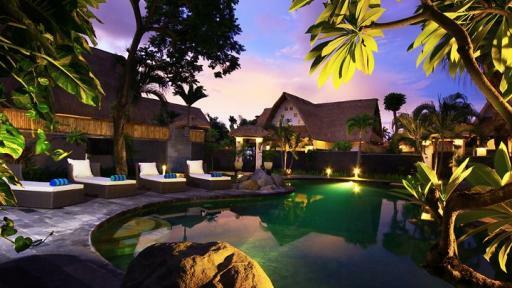 Lagoon Spa Seminyak: The Lagoon Spa will take you into the world of relaxation and calmness through their treatments which include body massages, beauty treatments, spa packages, yoga and reiki.